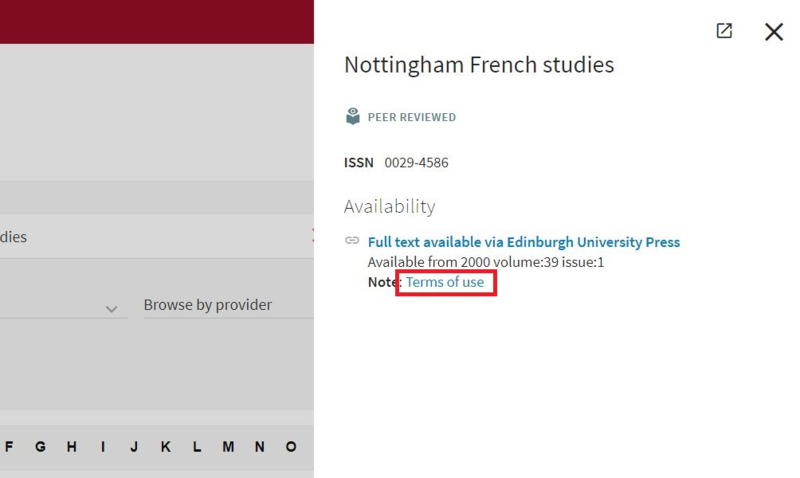 Search for the journal title on the E-Journals A-Z page. 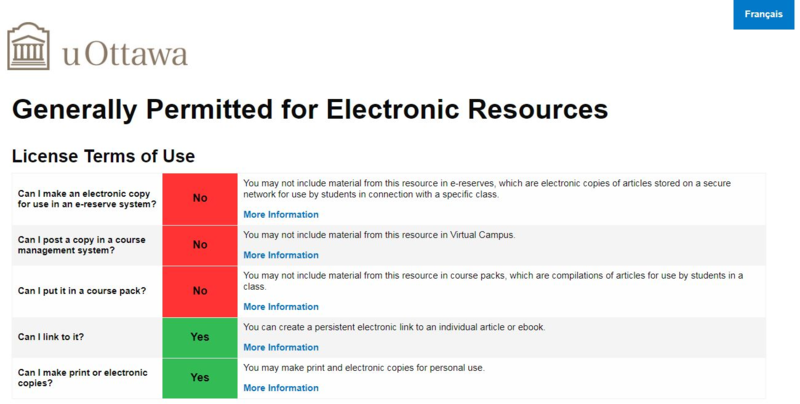 If you cannot find your journal on the E-Journals A-Z page, or if it lacks permissions information, or you have other questions, contact erinfo@uottawa.ca. If you cannot find your book in Search+, or if it lacks permissions information, or you have other questions, erinfo@uottawa.ca.